Welcome to your gateway to the vacuum industry! AVEM.org, the official website of the Association of Vacuum Equipment Manufacturers (AVEM), is a vital resource for both manufacturers of vacuum equipment and those across the industry looking to locate manufacturers of specific vacuum products. The website not only contains a detailed listing of vacuum equipment manufacturers throughout the U.S., but it also offers important statistics and data related to the vacuum market as well as informative articles about the latest topics and trends affecting the vacuum industry both now and in the future. 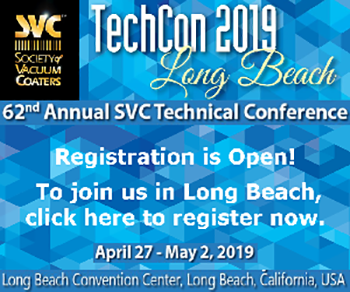 Visitors to the website seeking vacuum product suppliers are involved in the manufacture of a broad range of high-tech products, from semiconductors to solar panels, along with many other emerging technologies. These visitors represent a powerful and influential constituency in some of the most promising and highest-growth fields of today’s economy. With monthly traffic of more than 6,000 highly targeted unique viewers, AVEM.org is a valuable portal for both information and networking within the vacuum industry. 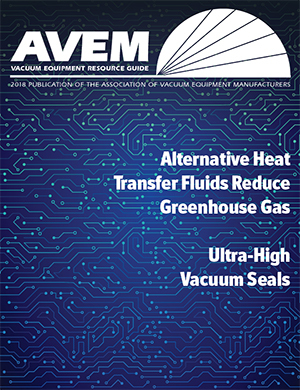 In addition to the Membership and Products & Services Directories, AVEM.org contains technical articles on the latest developments in vacuum, archives of the annual AVEM Resource Guide, vacuum market statistics, industry job listings, and member press releases. The Association of Vacuum Equipment Manufacturers (AVEM) is the only non-profit U.S. association dedicated fully to companies that manufacture vacuum equipment and supplies that serve and advance vacuum science and technology. AVEM was founded in 1969 and is the only non-profit source for market data across the vacuum industry in North America. 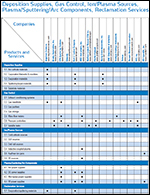 To locate companies that manufacture specific vacuum industry products, click here. If you manufacture one of these products and are not listed, learn about our membership benefits or contact AVEM aveminfo@avem.org to learn how AVEM can help you.